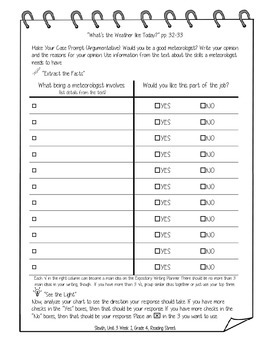 Included in this download are the Sleuth Lesson Plan, Student Note-taking sheet, Writing Graphic Organizer, and Exemplar Written Response Answer for "What's the Weather Like Today?" Are you spinning your wheels trying to teach Sleuth, not even sure if you’re doing it right? Did you know that Sleuth has the potential to be the biggest weapon in your arsenal for amazing test scores? Sleuth can have a huge impact on your students’ ability to think critically…if it’s taught correctly. 1. 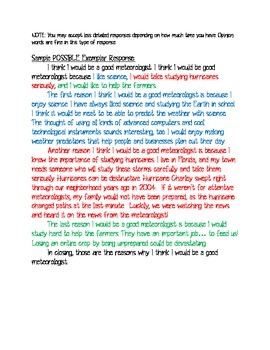 Explanation page on "What is Argumentative Writing?" 2. 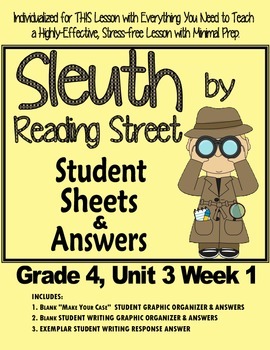 2 page lesson plan on how to teach Sleuth. 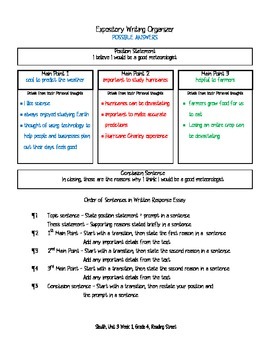 The graphic organizer and answer key included in this download are individualized for THIS PARTICULAR ARTICLE. This download will help you get the most out of every minute you spend teaching Sleuth, help your lessons flow smoothly, and give your students the solid background they need to become experts in analytical/argumentative writing at the elementary level. Plus there’s hardy any prep time. I’m an elementary teacher with 20 years of writing training and instruction under my belt. I've already spent my days analyzing this text over in over so you don't have to. Save yourself the time and headache planning for this weekly lesson and still come out looking like a pro. Sleuth has the potential to expose your students to some of the most challenging and cognitively complex tasks they’ve ever faced in elementary school. Do this weekly, and your student students will never look and think about words on a page the same. Keep these resources a secret if you want to blow everyone’s test scores away, or share information about this resource on TpT with your colleagues and make friends forever.